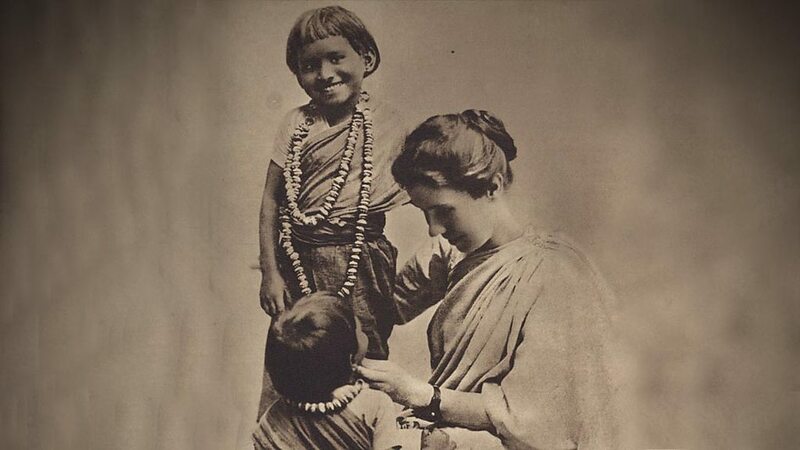 Amy Carmichael, writer, missionary to India who saved many girls from temple prostitution, and a tireless worker for the Gospel: 55 years without furlough. Original recipe from Just A Taste. 1. Preheat oven to 400ºF. Thoroughly dry off wings with a paper towel and spread out on a foil-lined baking sheet. Season with salt and pepper to taste. Bake until fully cooked, 45 to 50 minutes. 2. With about 15 minutes remaining for the wings, begin cooking rice (according to package directions) and sauce. Place the oil, garlic, and ginger in a small saucepan over medium-low heat and cook for about 3 minutes, until golden-brown. Add the red pepper flakes, marmalade, and soy sauce. Simmer, stirring occasionally, for 5 minutes. 3. 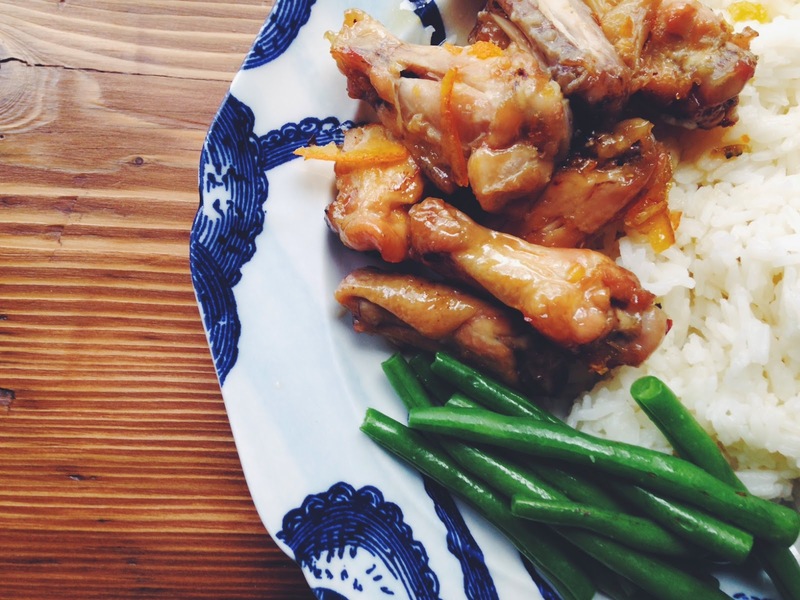 Remove wings from oven and toss with sauce in a large bowl. Serve over rice with extra sauce poured over. Really good. Even Scout Kid condescended to take a few bites. 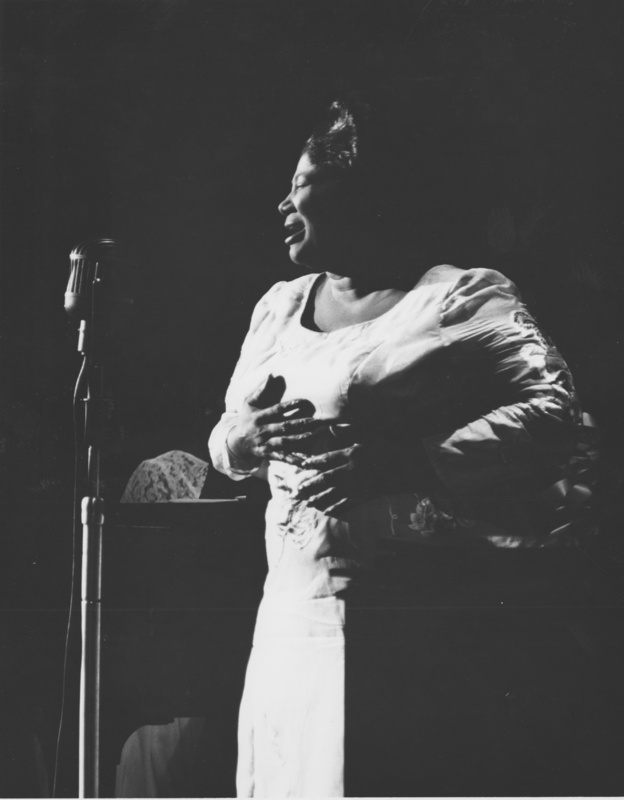 Mahalia Jackson, civil rights activist, powerful contralto, and ‘The Queen of Gospel’. Another craft! I discovered that Scout Kid was getting pretty dece at his iPhone memory game, so I figured I should harness that power for good. 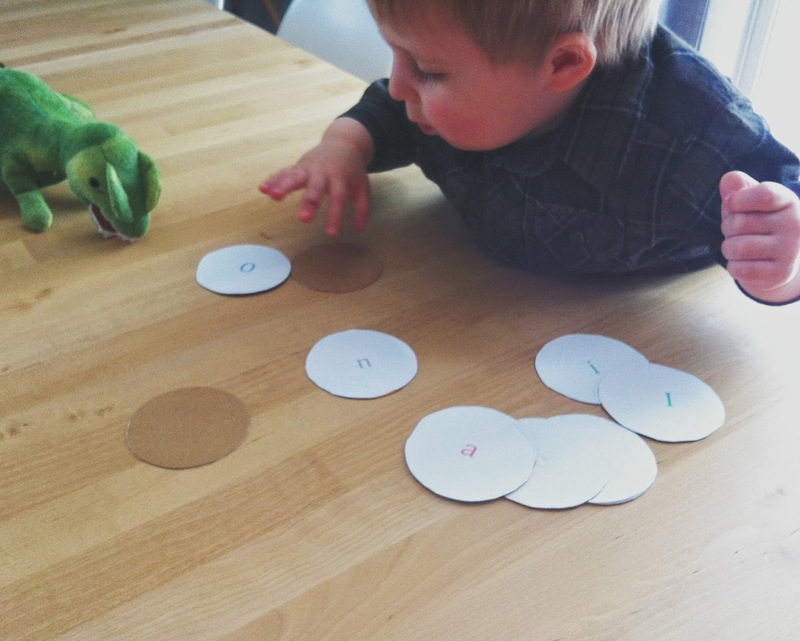 This is a simple memory game that helps him learn to match uppercase and lowercase letters. I could theoretically expand it to include the whole alphabet, but for now it’s just vowels. 1. Using a drinking glass, make 10 circles on the cereal box and cut them out. 2. Create a Microsoft Word document using half a page for each letter. Make each uppercase-lowercase pair the same colour (I is green, A is red, etc.). Print. 3. Using the same drinking glass, cut out each letter. Glue onto the coloured side of the cereal box. 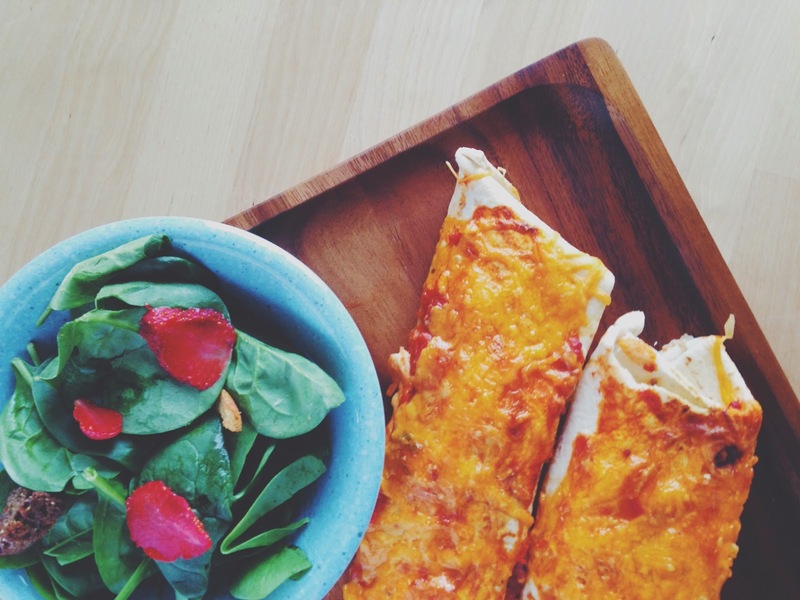 I tried quite a few enchilada recipes in my research for the 365 Recipe Project, including one that was touted as the “best ever” on Pinterest (which is actually usually totally inaccurate, so, rookie error on my part.) But all of them left me cold. So soggy. But then my mother-in-law mentioned that my sister-in-law had made some really good ones, so I snagged her recipe. 1. Preheat oven to 350F. In a large frying pan over medium-high heat, cook pepper and onion in butter. Stir in spices, then reduce heat to low, add cream cheese, and cook until melted. Add chicken and salsa. 2. Remove from heat. Spread a thin layer of salsa in a 9×13″ baking dish. Spoon mixture into tortillas, wrap, and line up in baking dish. Cover with salsa and shredded cheese. 3. Bake for 15-20, broiling for a minute or two to brown the cheese if desired. Serve with sour cream and salsa to dip. Yum. I loved these. The cream cheese flavour was really nice. I should note though that I used very little salsa on top so they were more crispy; just a thin layer like on the bottom of the dish instead of pouring it over. So maybe not the most authentic enchiladas, but definitely ones that are going into the rotation.